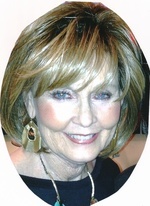 Deborah Wilks Obituary - Newport, Arkansas | Jackson's Funeral Homes Inc.
Deborah Leigh “Debbie” (Boyd) Wilks departed this life peacefully in her home in Harrisburg at the age of 66. Debbie was born in Dermott, Arkansas on November 11, 1952 the daughter of James and Rose Boyd. She graduated from McGehee High School in 1971and from Arkansas State University in 1975 with a BSE in Elementary Education. Debbie spent most of her adult life in Marianna, Arkansas. She retired in 2018 after seventeen years of working as the manager of the East Arkansas Community College bookstore where she made so many dear friends. She was an excellent cook, and loved providing meals to others. Some of her favorite things to do were shop, hang out with her Bunko girls, and spend time with her grandchildren. Debbie was preceded in death by her parents, her husband, Henry A. Wilks and father-in-law, Willard Wilks. She is survived by her mother-in-law, Dorothy Wilks of Hunter, Arkansas, two daughters: Ashley and husband Paul Rowton of Harrisburg and Leigh and husband Coe Nance of Jonesboro, four grandchildren: JP and William Rowton of Harrisburg and James and Mayleigh Nance of Jonesboro, and a close friend, Damon Wingo of Perryville, Arkansas. Bro. Allan Greer of Little Rock, Arkansas will conduct the service and these men will serve as active pallbearers: Robert Wooten, Bo Wooten, Lyle Grimmer, Logan Wingo, Chris Wingo, Darrell Gaskin, Jim DeRossitt, and Barry Jones. Honorary pallbearers will be: Dr. Kurt Tauer, Melanie Jenkins, Karen Price, Courtney Hams, and all the staff at West Cancer Center-Wolf River. Funeral services will be Saturday, January 26, 2019 at 10:00 A. M. at First Baptist Church Harrisburg, Arkansas with visitation Friday, January 25 at Jackson’s Funeral Home from 5:00 ~ 7:00 P. M. Interment will be in Harrisburg Memorial Park Cemetery. Memorials may be made Attn: UT/West Institute West Cancer Center 7945 Wolf River Blvd Germantown, Tennessee 38138 https://www.utwestinstitute.org/donate.html Arrangements are by Jackson’s Funeral Home.